Amongst Abraham-Louis Breguet’s fabled contributions to horology, through which he demonstrated technical prowess with an elegance of form, lies a subset of timepieces that stand in marked contrast to the watchmaker’s quintessential, classically European style. 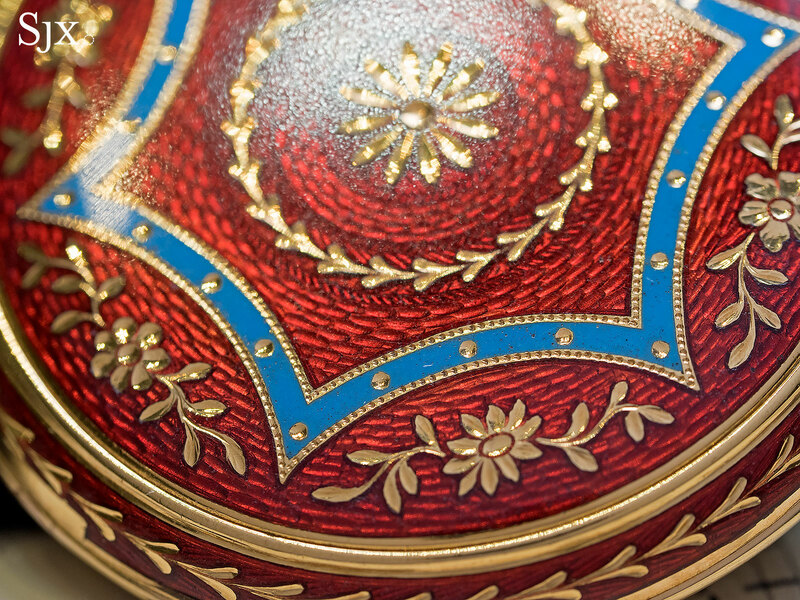 These florid, richly enamelled pocket watches were created during the early 19th century for the Ottoman Empire – the result of a conflation of historical events and personalities that were singular to A.-L. Breguet. The brand’s early history – Breguet founded his eponymous firm in 1775 – was discoloured by the events of the French Revolution, causing A.-L. Breguet to flee to Switzerland. And while Breguet found favour with Napoleon and the new elite, the Napoleonic Wars had catastrophic consequences on Breguet’s trade relations. Exports to its main markets, namely England, Spain and Russia, declined precipitously. Consequently, A.-L. Breguet turned to the Near East. Turkey was the only great power allied to France during this tumultuous period, while in the early 19th century the country’s elite had developed a keen admiration for European watches, which often served as social and diplomatic gifts to Ottoman officials. Further underpinning this decision was Breguet’s personal affinity with the Ottoman Empire, in particular, his friendship with the Ottoman ambassador to Paris, Esseid Ali Effendi. A.-L. Breguet had been introduced to Effendi by the famous French diplomat Charles Maurice de Talleyrand-Périgord. Effendi then became a patron of Breguet in 1798, and amongst the ambassador’s notable purchases was a minute repeating Grande Sonnerie pocket watch in 1799 and a longcase clock in 1801. And after Effendi’s return to Turkey in 1802, the watchmaker and diplomat maintained a regular correspondence, during the course of which Effendi commissioned a great number of watches, including ten minute repeating watches between 1804 and 1808 as well as more modest watches equipped with thermometers and barometers. The watches were shipped from Paris to Istanbul, and Effendi helped spread Breguet’s name by reselling or presenting them to the great and the good of the Ottoman Empire. Together with an Istanbul watch merchant named Stephanaki, Effendi demonstrated the potential of the Islamic market for Breguet, and more crucially, convinced the watchmaker to tailor his timepieces to the Ottomans, which opened up a new aesthetic direction for brand. By the 18th century, Western timepieces had become a conspicuous part of elite Ottoman culture and were common in diplomatic gift-giving. This meant that the Ottomans had already developed specific tastes in timepieces, which meant that watchmakers vying for the patronage of the Empire’s elite relied on a tried and tested array of styles and materials that catered to the market’s unusual preferences. 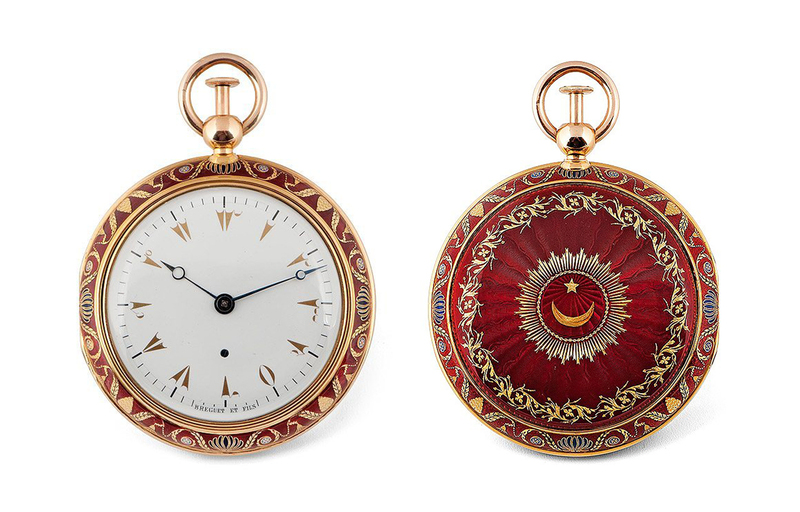 In his letters to Breguet, Effendi advised that watches for the Ottoman market should feature white enamel dials, as well as a sumptuously decorated cases in vivid colours such as red. More unusually, Effendi also specified that double cased watches were all the rage. “Double-cased watches were a special request to protect the watches, as the Ottomans used to wear their watches outside of their clothes, and not in a special pocket,” explains Breguet Museum curator Emmanuel Breguet. 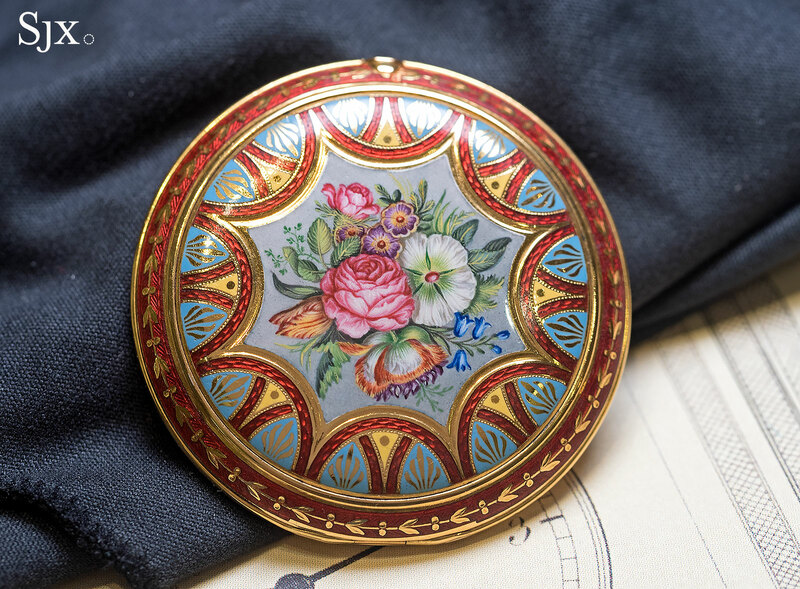 Beyond brightly coloured enamels, Ottoman watches were also often decorated with pastoral scenes and floral motifs – themes that were easily accepted in Ottoman culture. 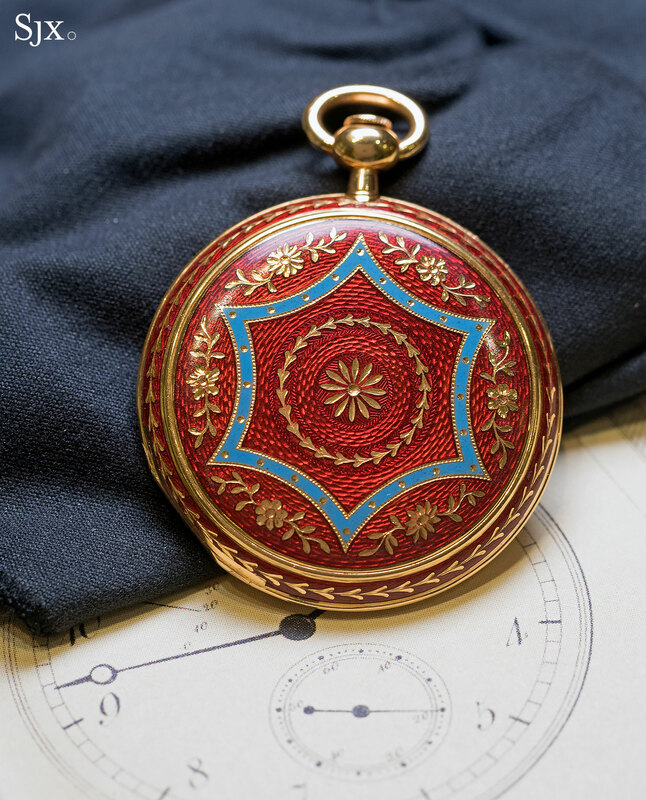 A prime example of a double-case, Turkish market timepiece is pocket watch no. 2592, pictured in the title image above. And in November 1803, Effendi further specified that all watches should also feature dials with Eastern Arabic numerals instead of conventional Arabic or Roman numerals. These special watches became the only instance in which Breguet departed from his definitive style, in order to please a crucial market. 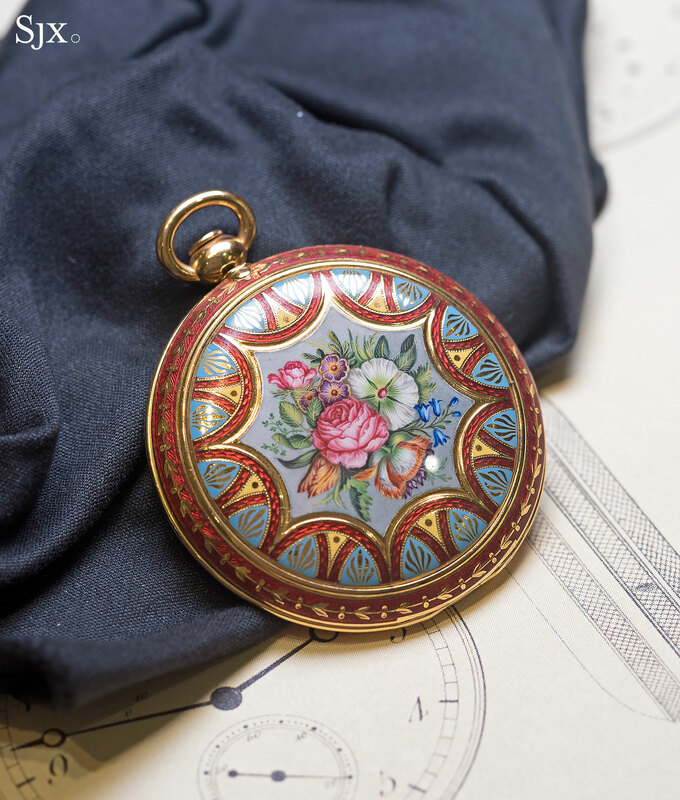 While the Ottoman watches are superficially similar to the extravagant timepieces Swiss and English watchmakers made for the Chinese market in the second half of the 19th century, they are easily differentiated. Amongst the key differences: watches for the Middle Kingdom were equipped with “Chinese” movements, which tended to be heavily engraved, while some Ottoman watches had bows shaped like a crescent, instead of being round. Breguet no. 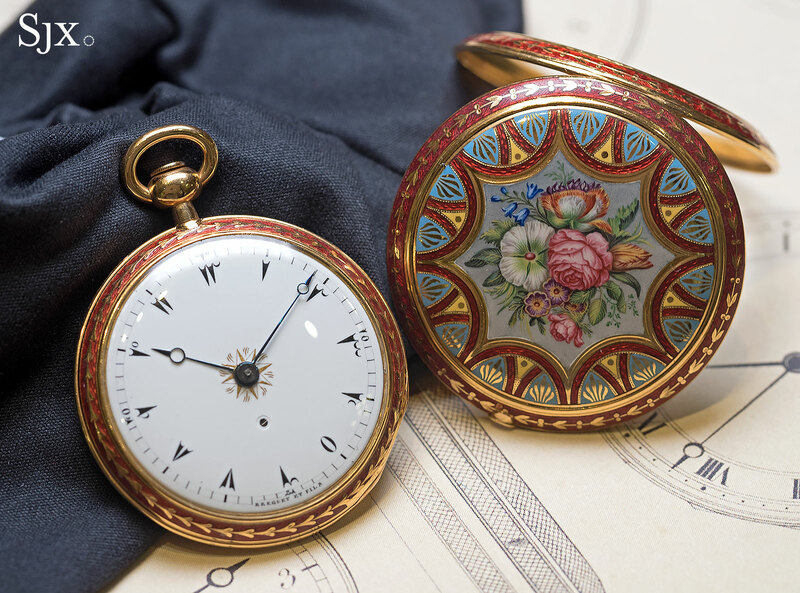 1794 with deadbeat centre seconds, double gold case with floral enamel decoration, enamel dial with Turkish numerals, blued steel Breguet hands, ruby cylinder escapement. Sold on January 25th 1806, to Mr Mehamet, the Ottoman ambassador to France, for the sum of 1608 francs. No. 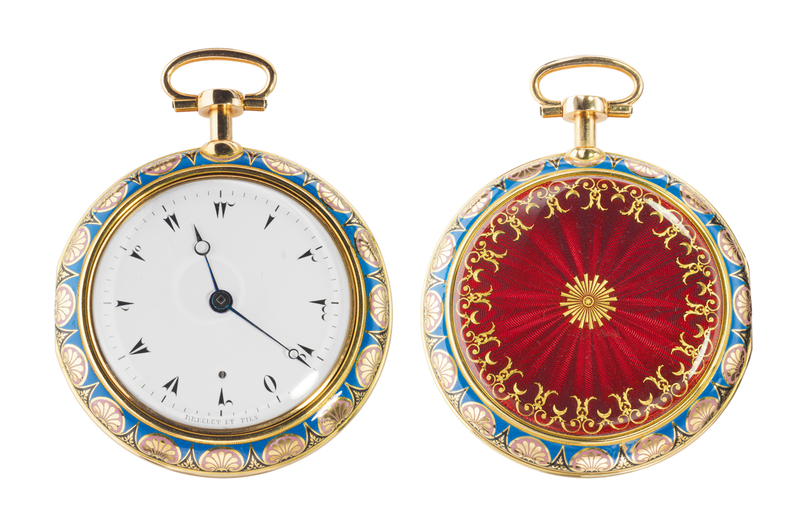 1320, a gold and enamel pair-cased dumb quarter repeating watch, with white enamel dial with Turkish numerals, blued steel Breguet hands, ruby-cylinder escapement. Sold on 13 Fructidor year 12 (August 31st 1804) to Mr Esseid Ali Effendi for Beykan Sultan, for the sum of 1,827 francs. 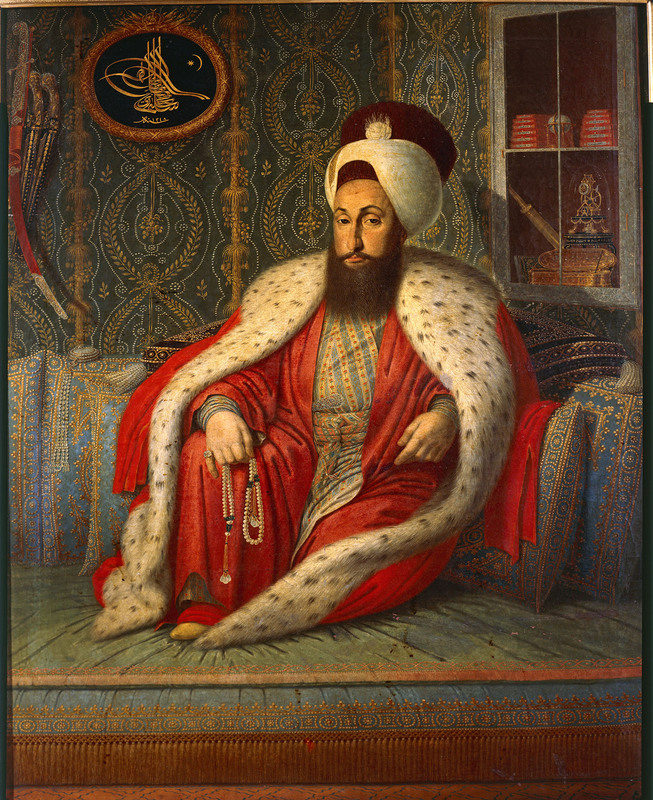 Portrait of the Sultan of the Ottoman Empire Selim III (1789–1807), Turkey, 18th century. Beyond the watches themselves, equally crucial to Breguet’s success in the market was a local agent. Again, at the advice of Effendi in 1802, A.-L. Breguet sent a French watchmaker named Leroy to Constantinople, appointing him the company’s local representative. Breguet would soon be sending him an average of six to eight extremely valuable pieces per year. As skilled enamellers were scant in Paris, Breguet then turned to Geneva, the historical centre of miniature enamelling in Switzerland. 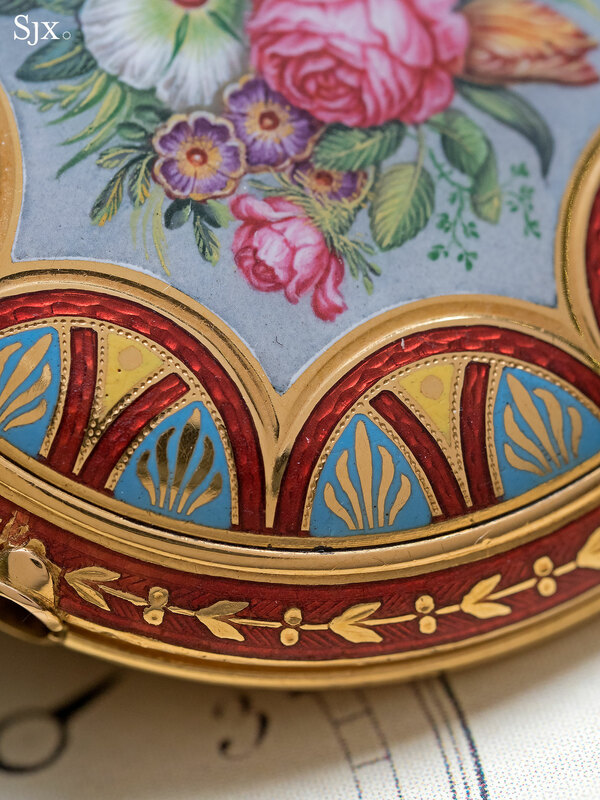 There he found workshops that specialised in enamelling and were also familiar with Ottoman motifs, enabling A.-L. Breguet to cater to his Ottoman clients. No. 2952 quarter repeating watch with double case of enamelled gold, bezels decorated in flinqué red enamel with stem-and-dub motif, back painted with floral subject on translucent grey enamel; second case with translucent red enamel bezel and black, decorated, enamel dial with Turkish numerals. Equipped with ruby-cylinder escapement, spring detent (ressort-timbre) repeater. Sent on March 4th 1817 to Mr Leroy, Breguet’s agent in Istanbul. During this period, the French government was seeking a suitable gift for the new sultan, Mahmud II, who had ascended the throne in 1807, succeeding his deposed cousin who had inherited the crown after Selim III was assassinated. The French eventually chose the most remarkable timepiece by the country’s best watchmaker: the Breguet Sympathique clock no. 758, which cost 35,000 francs, or about 20 times what an enamelled repeating pocket watch would have cost. 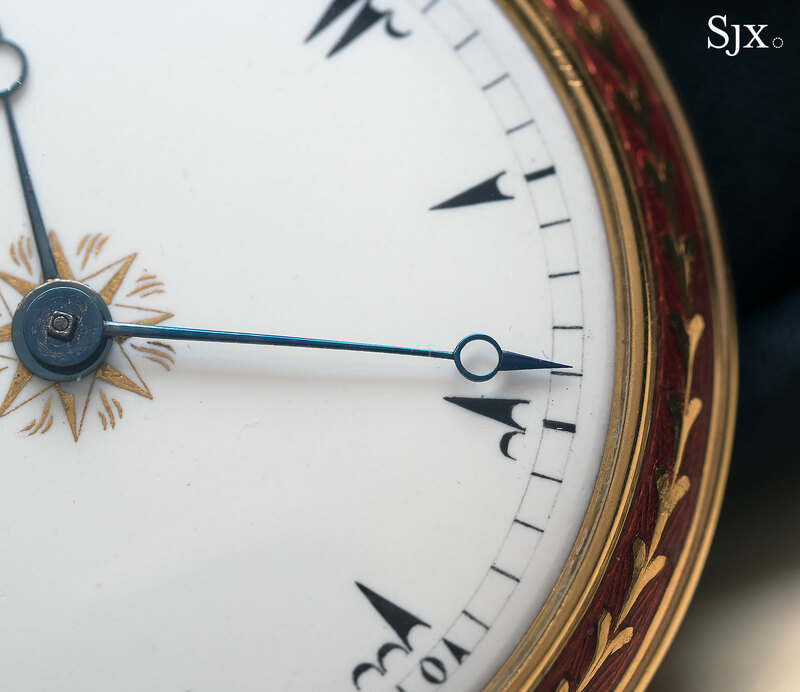 The extraordinary clock winds, sets and regulates a pocket watch that is slotted into the top of clock at the end of the day, leaving the watch ready to use the next morning. 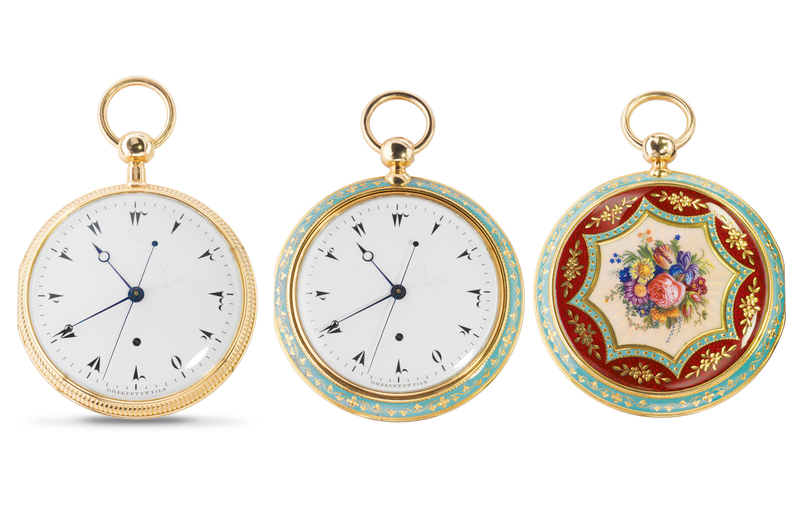 Breguet is believed to have created only 12 Sympathique clocks, of which four were commissioned by the Russian Imperial court, three by the Spanish crown, and one by King George IV of England. All of them are worth millions today; the Duc d’Orleans Sympathique sold for US$6.8m at Sotheby’s in 2012. When the Ottoman Sympathique was delivered in 1813, Mahmud II was so pleased that he summoned Breguet’s agent Leroy, presented him with a gift and entrusted him with the maintenance of all the timepieces in Topkapi Palace. The firm of Breguet enjoyed a charmed repute in Turkey until the end of the 19th century, well beyond A.-L. Breguet’s lifetime. No.2090, a quarter-repeating watch, with grande and petite sonnerie functions in a double-case with a Turkish influenced enamel design and a Turkish numbered dial. Sold on September 16, 1808 to His Excellency Esseid Ali Effendi, former ambassador of the Ottoman Empire in Paris, for the sum of 3,360 francs. Almost two centuries after A.-L. Breguet rose to prominence on the Bosphorus, luxury watchmakers continue to cater to faraway markets. In fact, Eastern Arabic numerals have become something of a fad in recent years, with brands as diverse as Rolex, IWC and MB&F having created special editions for the Middle East, proving that history doesn’t repeat itself, but it certainly does rhyme. Many thanks to Emmanuel Breguet of the Breguet Museum for his assistance with the article. Correction January 11, 2018: Breguet was founded in 1775, and not 1887 as previously stated.